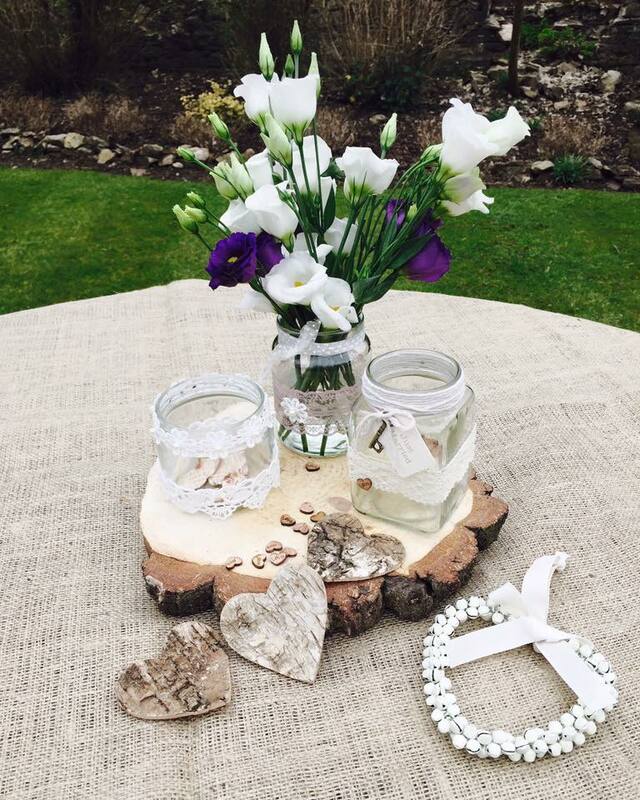 Holly Boo can make decorated, personal jam jars to order, for as little as £1.85. 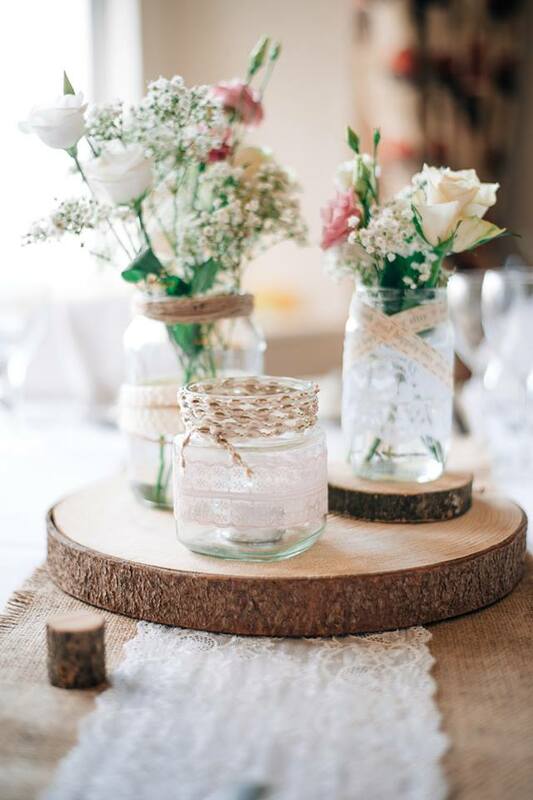 We don’t just use any old jar, we choose the best shaped jars we can find and you won’t find any two the same. 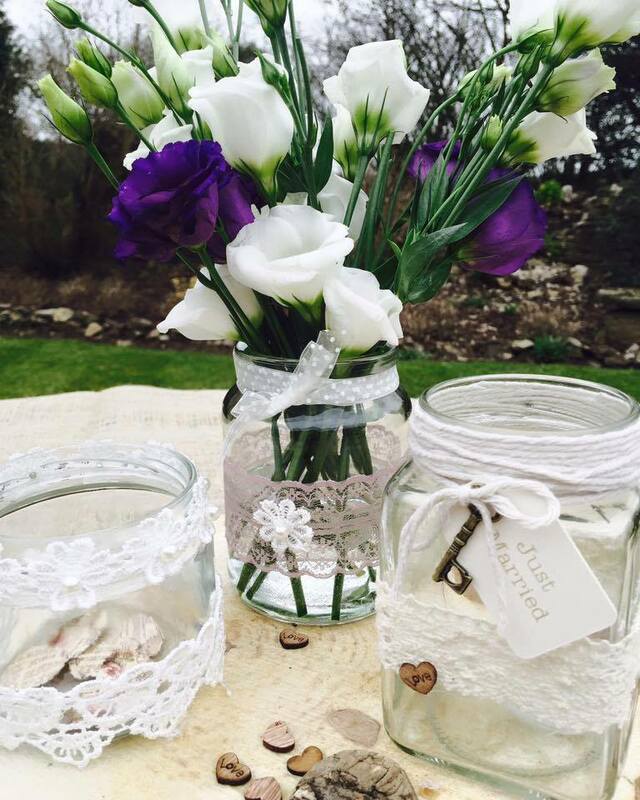 We make these cute little jars to fit so nicely with your theme, sending you samples of lace, ribbon etc before making them, leaving you in control of how they will look. 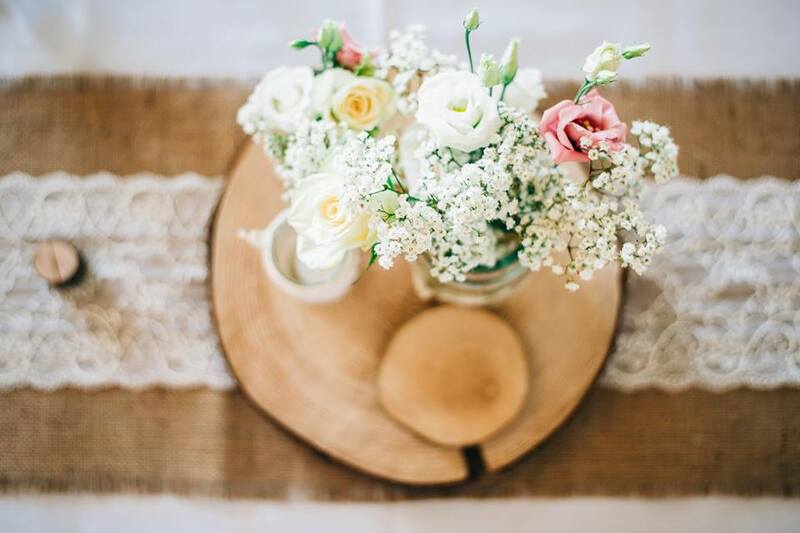 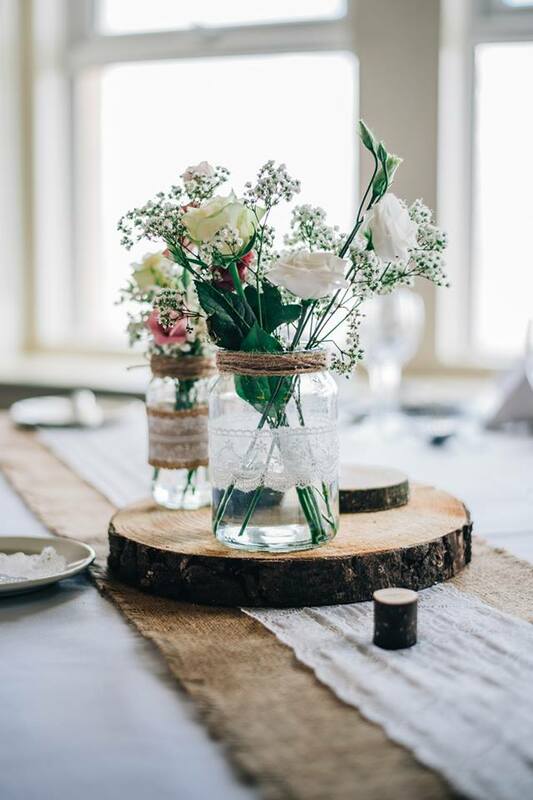 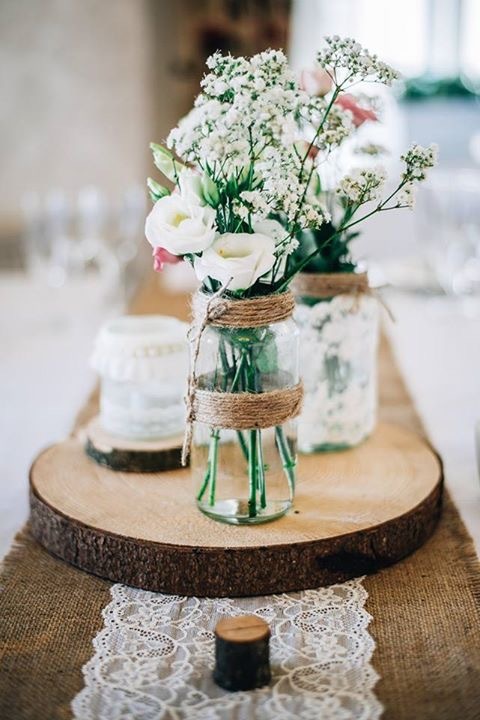 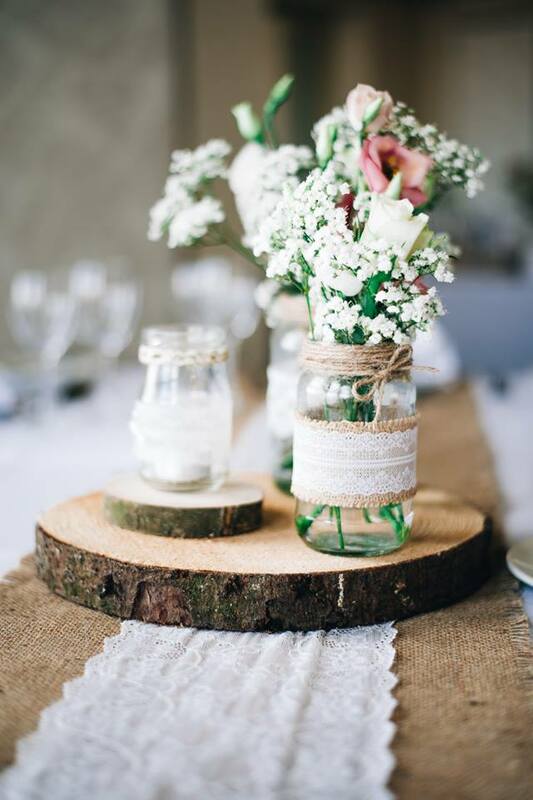 We’ve made jars for quite a few weddings which have been used as centrepieces filled with flowers and candles, decorations for window ledges and a rustic look in the garden – the options really are endless.